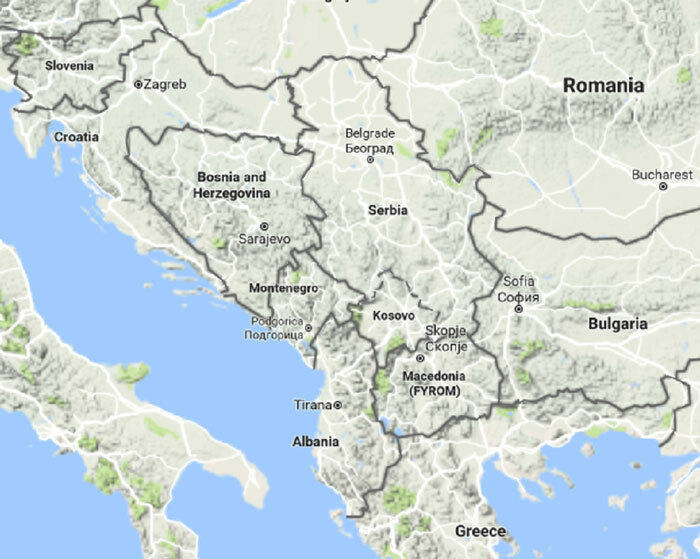 The Western Balkans at the edge? Where did the EU fail? The Western Balkans are not just any number of neighbouring countries. Serbs, Croats, Slovenes, Kosovars, Bosnians, Montenegrins and Macedonians share a common heritage of being once under the same roof. The collapse of Yugoslavia and the internecine wars of the 1990s drastically changed the regional landscape. During the last 25 years external actors have played an important role in the region settling violent disputes and promoting more stability. On the surface it currently seems relatively quiet in the region, but beneath, many unresolved disputes remain. New players such as Russia and China are increasing their presence, while much needed reforms are delayed and the EU accession process has lost momentum. With growing tensions within and between Serbia, Bosnia and Herzegovina, Montenegro, Kosovo, Macedonia and Albania, the situation in the Western Balkans is deteriorating. Will the region again become the tinderbox it was not so long ago? In this Clingendael Spectator special, eleven authors analyse the situation by exploring the most pressing themes. Coordinating editor Jan Marinus Wiersma (also Senior Visiting Fellow at the Clingendael Institute and former Member of the European Parliament) provides an introducing threat analysis of the volatile situation in (countries of) the region. Otto Holman, associate professor International Relations and European Politics at the University of Amsterdam, offers a historical analysis of the EU enlargement following the collapse of communism. A decade after the big bang enlargement of 2004-2007, the enlargement strategy has fundamentally changed. This has major implications for today’s applicants from the Western Balkans. Zoran Nechev and Marko Čeperković, European Fund for the Balkans (EFB) Fellows at the European Union Institute for Security Studies (EUISS), identify the drivers of fragility in the Western Balkans and shed new light on the operationalization of the concept of resilience, defined in the EU Global Strategy as the ability to respond to and tackle challenges. According to Sipke de Hoop, university lecturer in contemporary history at the University of Groningen, helping states to recover from conflict or supporting their transition to a stable democratic state is a difficult and very complex process. He argues that especially transitional justice should become more important in a new European approach towards the Balkans. Kalinka Gaber, director of the Macedonian Progress Institute for Social Democracy, speaks in her article of a ‘crippled liberal democracy’ and asks these urgent questions: Where did the EU fail in the Western Balkans and how can it regain its credibility? Othon Anastasakis analyses the relationship between Russia and South East Europe. According to the director of South East European Studies at Oxford (SEESOX), this relationship is marked by the ‘geopolitics of opportunism’ where Russia follows a casual policy of meddling and the Balkans use Russia as a tactical card vis à vis the ‘hegemonic’ West. And what about China’s role in the Balkans? Michal Makocki of the European Union Institute for Security Studies (EUISS) states that China’s Silk Road project may give the region a short-term economic boost but it is undermining the EU reform agenda in the Balkans. Senior researcher at the Austrian Institute for International Affairs and lecturer at the University of Vienna Vedran Džihić looks into the (new) rise and pertinence of nationalism in the region. Danijel Tadić, project manager at the Max van der Stoel Foundation and European Forum for Democracy and Solidarity discusses radical Islam in the Western Balkans. He concludes that the lack of good governance contributes to the growth of this disturbing phenomena. Lastly, former Clingendael Spectator intern Gijs van der Gracht selected news from the region since 2000 which results in a timeline of notable developments and incidents, showing in a timeline the changing narratives, growing tensions and conflict potential. Since 1947 the Clingendael Spectator is the Dutch magazine for international relations. It is free of charge and accessible for all those interested in world politics. The Clingendael Spectator is an independent publication of the Netherlands Institute for International Relations ‘Clingendael’. Follow all Clingendael activities here. Stay updated on the Dutch language Spectator items via Twitter, Facebook and LinkedIn, or subscribe to the Spectator Newsletter.